“Kenai Peninsula Borough School District Nurse Tracy Silta demonstrates on a daily basis all of the personal and professional qualities of an efficacious school nurse for students,” wrote nominator James Knoebel, Special Education Department Chair, Soldotna High School. “She embodies what a school nurse and role model should be.” Since 2002, Nurse Tracy Silta has been optimizing students’ health. She is in a critical role that makes certain Soldotna High School students are safe, healthy, and ready to learn. Her open door policy and the judgement-free space she creates exemplifies her commitment to students. Tracy makes her office a place where any student or staff member can go to for words of encouragement, a shoulder to cry on, an ear to listen, or even a cup of tea. Two years ago, she spearheaded the creation of yoga FOL time. 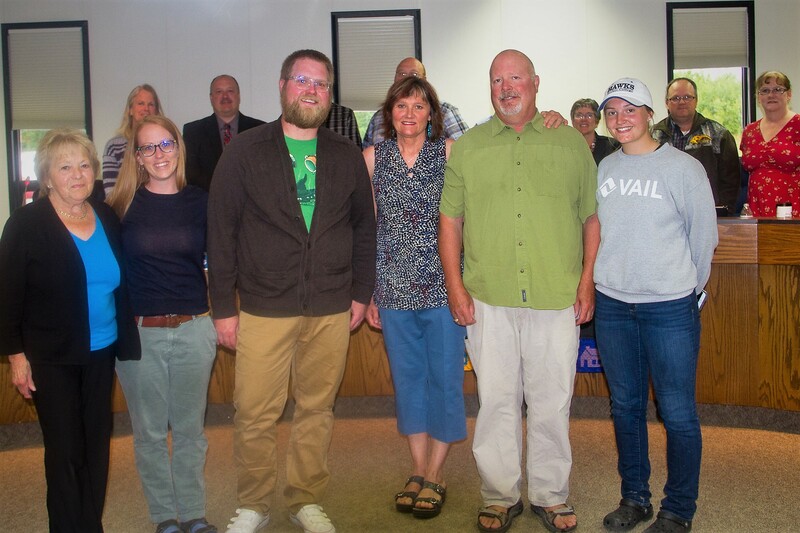 Noticing that Soldotna High School had a need for enrichment opportunities during the last 30 minutes of the school day, Tracy was able to respond to this need by coordinating with Lisa Wells, a support staff and certified yoga instructor, and James Knobel to run a yoga group four days a week. This FOL provided students with a perfect way to find relief from their stressful day, reduce anxiety, increase flexibility, boost their emotional health, and promote personal vitality. 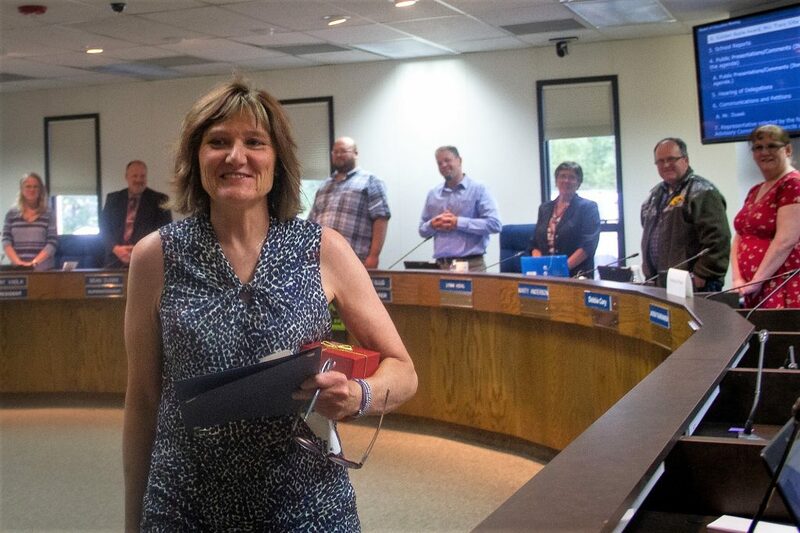 The Kenai Peninsula Borough School District Board of Education is proud to recognize Mrs. Tracy Silta for her dedication to the students of the school district, past, present, and future. This entry was posted on July 9, 2018 at 6:40 pm. You can follow any responses to this entry through the RSS 2.0 feed. You can leave a response, or trackback from your own site.